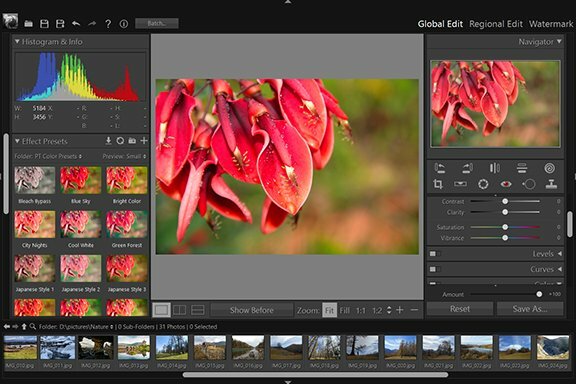 Clipping Warning - Global Edit - User Guide of PT Photo Editor - Easily rescue problem photos. Make every shot its best. Clipping happens when you have areas with no information in your photo. When an area has no information, it is either pure white or pure black. Photographers often refer to these areas as "blown out". 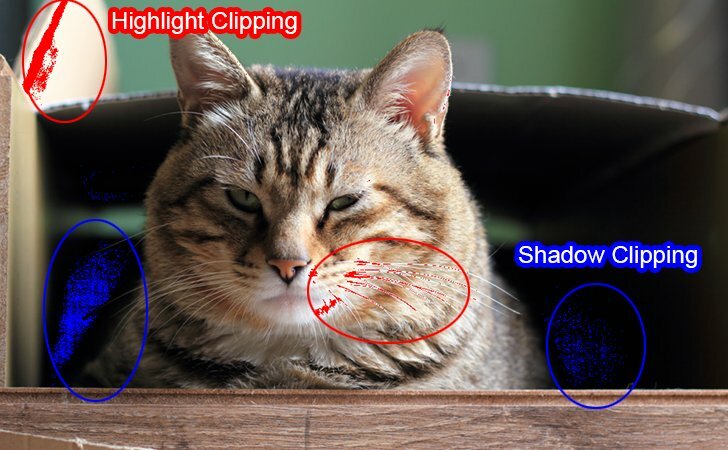 Generally, it is undesirable to have large areas of your image with areas that have highlight clipping or shadow clipping. 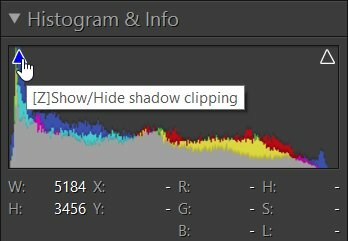 In PT Photo Editor, the clipping warning triangles turn different colors to show that different channels are being clipped. If no values are clipped, the triangles are transparent with no color. You can hover your cursor over the triangles to preview the clipped areas in the image. The red overlay shows the clipped highlight areas. The blue overlay shows the clipped shadow areas. To toggle on this clipping preview (so that it remains displayed as you move your cursor to other areas), click the triangles or tap the [Z] key.